For two decades, Advanced Nutrients has led the industry when it comes to cannabis-specific plant foods. Learn the incredible story of how owner Michael “BigMike” Straumietis founded the bud-building brand as well as Advanced Nutrients’ plans for the future of cannabis cultivation, extraction, lab testing, packaging and delivery. Advanced Nutrients was founded by Michael “BigMike” Straumietis in 1999 when he saw an opportunity to create plant foods designed especially for marijuana growing. A cannabis cultivator since he was 23 years old, BigMike knew that the products available for feeding pot plants weren’t optimized to their full potential. As a co-founder of Canadian Soilless Ltd. in 1996, BigMike recognized that the hydroponics industry was stagnating and, as he was soon to find out, terrified of any connection to pot growing. Ever since the DEA’s Operation Green Merchant, an offensive in 1989 that targeted marijuana-growing-equipment suppliers, companies refused to acknowledge that their products were being used to cultivate cannabis, even though they thrived on the business. Over time, BigMike revolutionized the hydroponic-nutrient business entirely, building Advanced Nutrients into a hundred-million-dollar-a-year company with current operations throughout North America, Eastern Europe, Germany and Spain, as well as sales in over 100 countries and growing. Advanced Nutrients now has 25 PhDs on staff who design and test cutting-edge marijuana-growing technologies, all backed by an unprecedented 100 percent money-back guarantee. Along with Tikun Olam in Israel and GW Pharmaceuticals in the United Kingdom, Advanced Nutrients in Bulgaria is one of only three companies in the world with a federally licensed permit for cannabinoid research. The philanthropic work done by BigMike and Advanced Nutrients shows that they truly care about the growers and patients without whom the company couldn’t exist. This isn’t mere lip service but real financial help for those in need. After the recent fires that devastated growers in the northern part of the state, Advanced Nutrients donated $100,000 in cash and $100,000 in nutrients to the California Growers Association. Contrast that with Scotts Miracle-Gro CEO Jim Hagedorn, who reportedly gave $250,000 to the Aviation Hall of Fame the same month and nothing to the growers of NorCal. Advanced Nutrients also launched the Cannabis Care Program 15 years ago to distribute over a million dollars’ worth of nutrients to needy pot growers. In Bulgaria, and now in Los Angeles, the company’s Holiday Heroes program provides necessities to destitute and homeless people and toys for their children. By never turning his back on the pot growers that supported him, BigMike built a brand that now does over $100 million a year in sales and is expanding into a variety of ancillary businesses and nonprofits. His newest efforts include a world-class research laboratory the likes of which doesn’t exist anywhere. The 50,000-square-foot Lacturnus facility will act as an incubator for top scientists with a shared intellectual-property agreement. 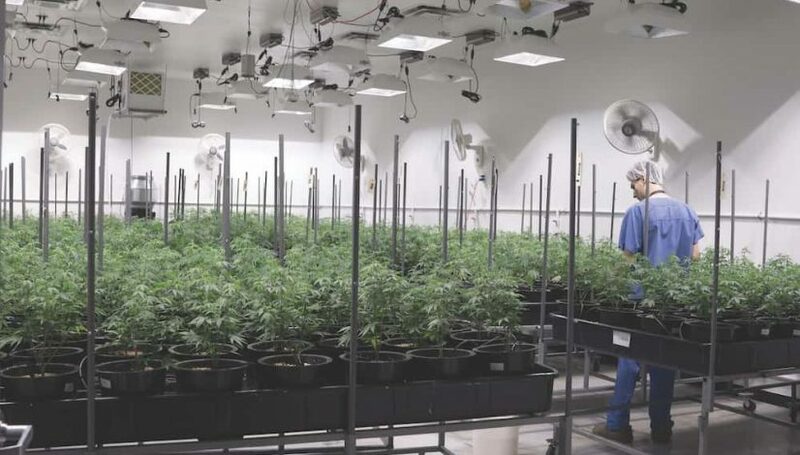 Once up and running at capacity, the Lacturnus grow operation will be the largest in the world and will provide distribution, volatile and nonvolatile extraction, tissue-culture cloning, packaging and delivery. The lab will also contain a full commercial kitchen for developing and producing best-in-class edibles with consistent microdosing. This feature has been published in High Times’ magazine, subscribe right here. The post Growing the Advanced Way appeared first on High Times.